Posted on March 16, 2019 Posted in Biscuits	. 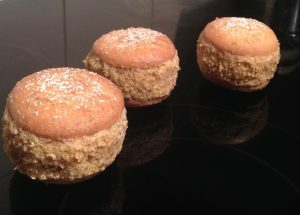 A Florentine biscuit (or, more correctly, a Florentine) is a sweet treat attributed to being invented in France, though is generally seen as an Italian delicacy. 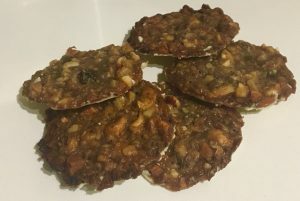 Florentine’s are most commonly made from nuts and glaze cherries, in which are mixed with sugar, honey and butter and completed with their signature bottom chocolate coating. 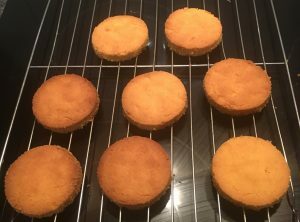 There are many many version of this biscuit, and after baking 5 different versions I have worked up what I think is the best from multiple recipes. 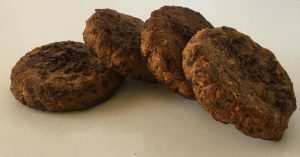 I know this is a little controversial but has resulted in an easy-as, ever-so-tasty gluten and egg free cookie. Pre-heat the oven to 170c degrees and line a baking tray with baking paper. 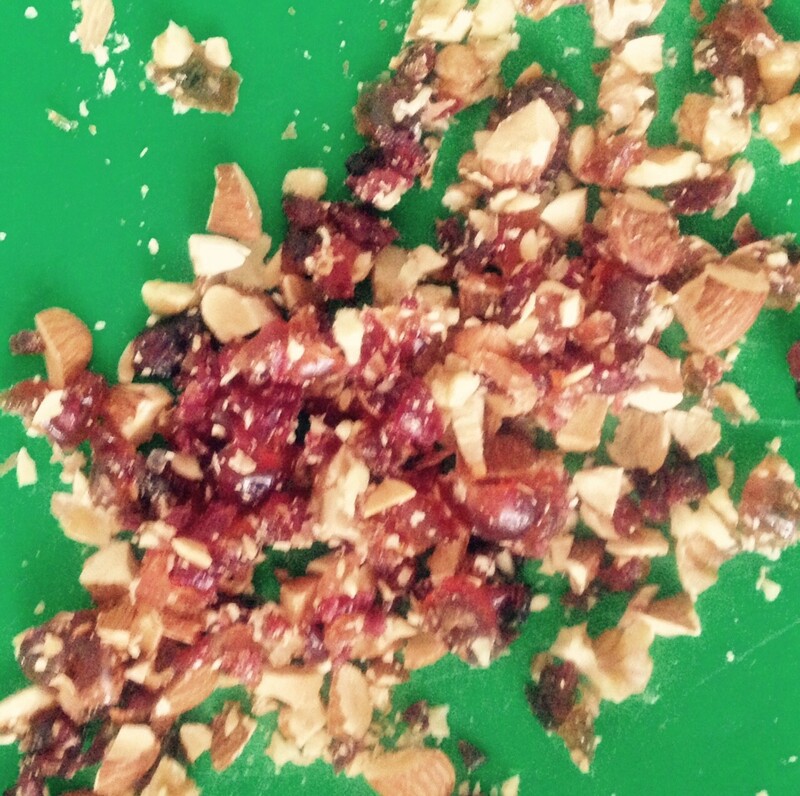 Dice up the cranberries, almonds, walnuts and cherries into small pieces and place in a bowl. Add the corn flakes and condensed milk and mix until well combined. 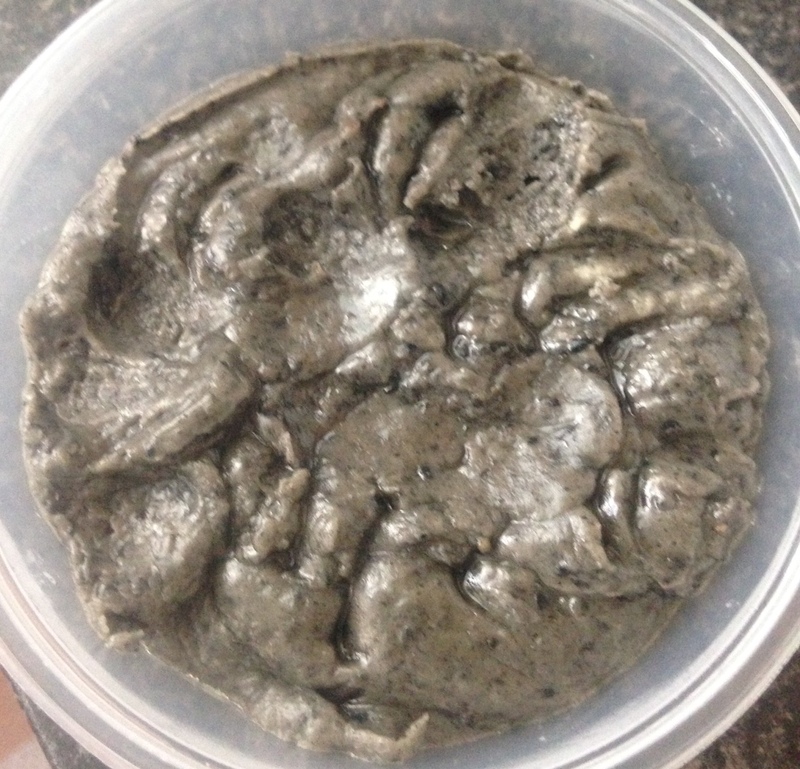 Place spoonfuls of the mix onto the baking paper and bake in the oven for 10 minutes. Once the biscuits have cooled place the chocolate in a pan over a pan of simmering water on the stove. 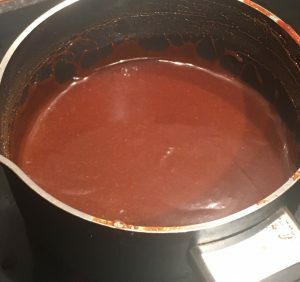 Stir the chocolate until it has melted then dip in the biscuits, bottom side to the chocolate ensuring an even layer of chocolate. 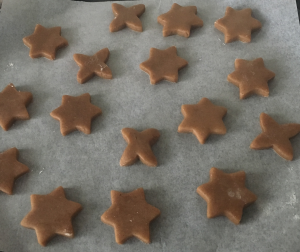 Place the biscuits on a cooling rack, bottom side up until the chocolate has set. 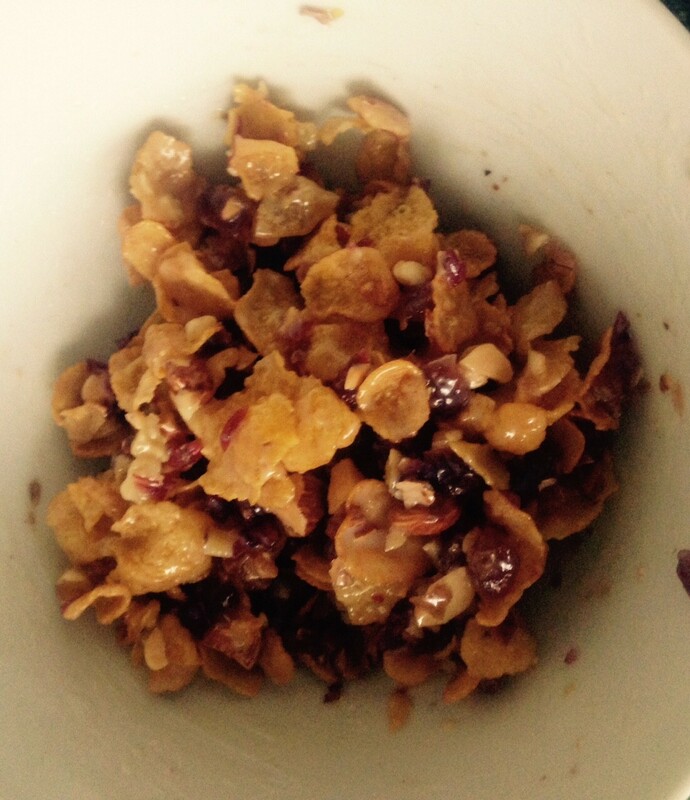 Tags: almonds, cherry, cornflakes, Florentines, walnuts	. Posted on January 5, 2019 Posted in Biscuits	. In an attempt to eat gluten free, I brought a packet of quinoa flakes to use as a rolled oat substitute for my porridge. As much as the substitute seemed consistent with rolled oats I didn’t fall in love with the texture. So, after opting back to oats I had a half full packet of quinoa flakes that I didn’t want to waste. The solution? Get experimenting. I figured if the flakes were mostly used as an oat substitute I could bake with them just like I do with other cereal ingredients. 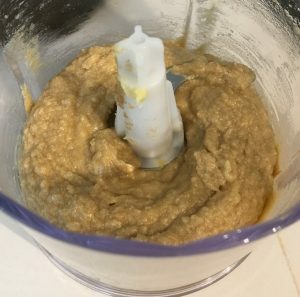 Knowing this ingredient pairs well with common breakfast flavors I played around with a few flavour combos before I landed on honey and peanut butter. 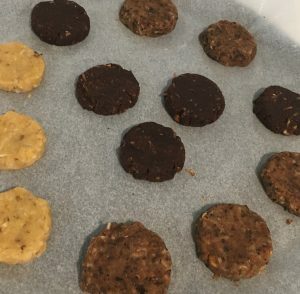 These 2 ingredients go so well together and using the quinoa flakes as a base biscuit ingredient went just as well as oat bran, flour or oats do. 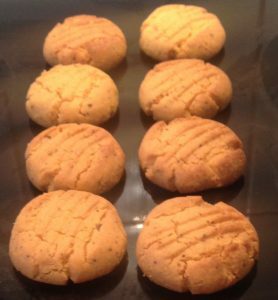 To keep with the gluten free theme, I used rice flour instead of the usual wheat flour for gluten free friendly biscuit-y goodness. I had low expectations for this treat and to be honest was blown away by how tasty it is. Preheat the oven to 180c degrees and line 2 large baking trays with baking paper. Place the sugar, butter, honey, peanut butter and vanilla into a saucepan on a medium heat. 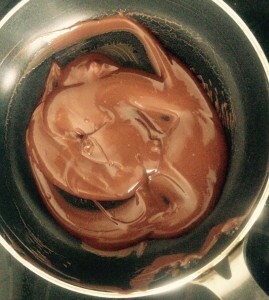 Stir until the mix is well combined, silky and bubbling on the sides of the pan. Set aside to cool slightly. 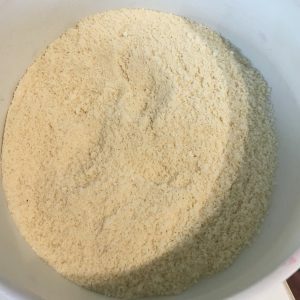 Sieve the flour, powder and salt into a bowl and add the quinoa flakes, stir. Pour the butter mix over the dry mix and stir until well combined. Put the bowl of the biscuit mix into the fridge for 30 minutes to cool and slightly harden. Next roll the cooled dough into balls 30g in size and place onto the trays. Using a fork push the balls in the center to flatten. 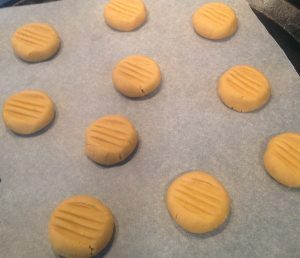 Place the trays in the oven to bake for 15 minutes or until the biscuits are golden brown in colour – leave the biscuits on the tray to completely cool. 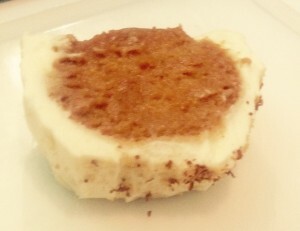 Tags: gluten free, honey, peanut butter, quinoa, Quinoa Honey and Peanut Butter Biscuits, Rice, rice flour	. Posted on June 2, 2018 Posted in Biscuits	. For a while now I have been meaning to bake something with Black Sesames and to be honest if was difficult to come up with a recipe where the seeds can be the hero flavour and really shine. As the flavour is quite subtle adding any other flavour in the mix would clout and take over. Why Black Sesame then if it’s such a restrained flavour? 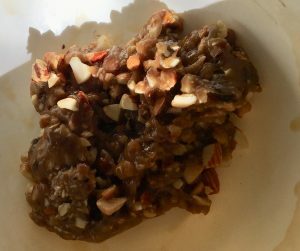 I ate the seeds in an ice-cream Asian dessert recently, and though the dessert wasn’t anything special I was quite drawn to the rawness and uniqueness of the flavour. 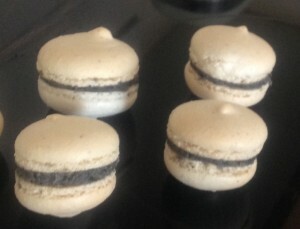 After playing around with a few recipe drafts I ended up deciding on macarons. 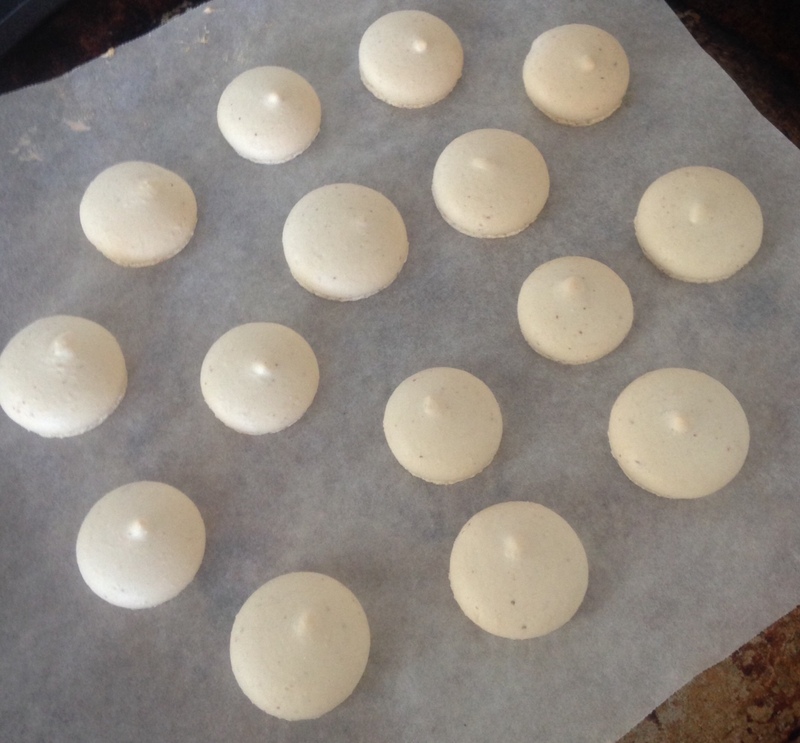 Macarons are so airy and light thus the filling is usually the primary element in which I could easily use the seeds for the filling and make it shine. A slightly vanilla spiked biscuit flavour would allow the black sesame to really take over the palate. 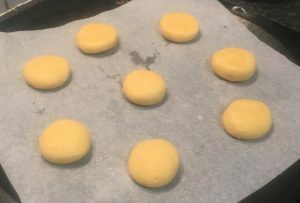 Now the last time I made macaron’s they didn’t turn out that great, so to ensure I would get the best result possible I have used Adriano Zumbo’s macaron recipe as a base guide and altered accordingly. The outcome = perfect macaroons! Preheat the oven to 135c degrees and line 2 large biscuit trays with baking paper. Using a 20 cent piece sized cookie cutter draw circles on the paper leaving 2cm gap between each. 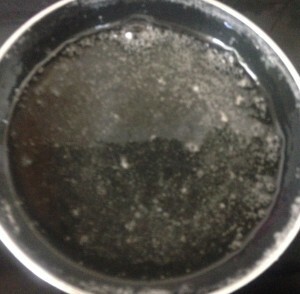 Sift the icing sugar and almond meal through a sieve into a bowl, stir to combine. Add 45g of eggwhite and the vanilla, stir until well combine. 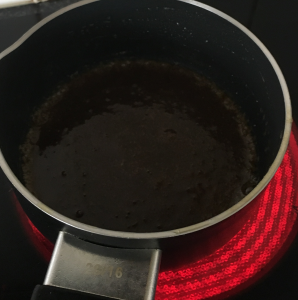 Place the sugar and water into a saucepan and cook on a high heat, stir until the sugar has dissolved and the mix boils to become a syrup. 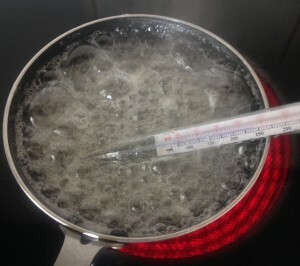 Place a candy thermometer in the syrup and leave the temperature on high until it hits 120c degrees. Add the remaining eggwhites into a new unused bowl and with electric beaters beat for 30 seconds on a medium speed. Next, slowly pour the sugar syrup down the side of the bowl into the eggwhites while you beat. Beat eggwhite for 3 minutes or until the mix is smooth and glossy. Fold 1/3 of the meringue into the almond mix until just combine. Add the remaining eggwhites to the mix and fold until just combine. 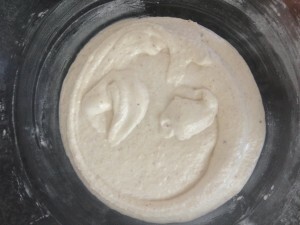 Place the mix into a piping bag fitted with a 1.5cm plain circle nozzle. 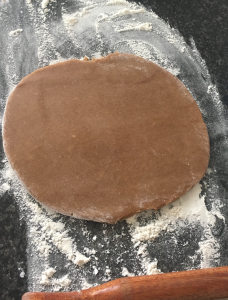 Pipe the mix into the drawn circle shapes by placing the nozzle in the centre of the circle and use pressure on the piping bag until the circle is filled. 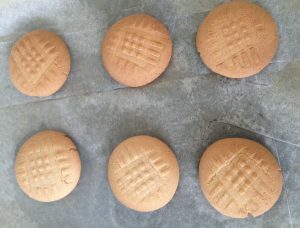 Once all circles are filled tap the tray to get rid of any air bubbles and leave the tray for 45 minutes to allow the biscuits to form a skin on top. 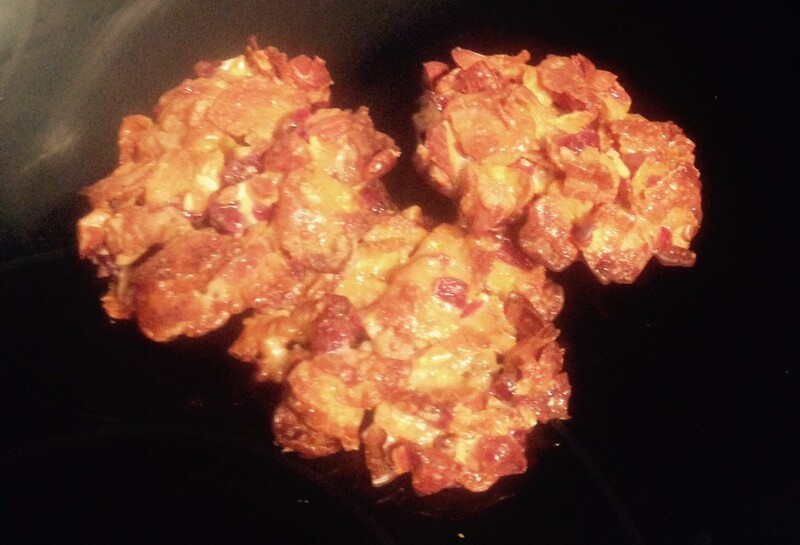 Bake the biscuits for 15 minutes or until crisp. Let them cool completely on the tray. Meanwhile to make the filling, place the seeds into a saucepan and on a medium heat stir until the seeds start to release their wonderful scent (do no allow to burn). 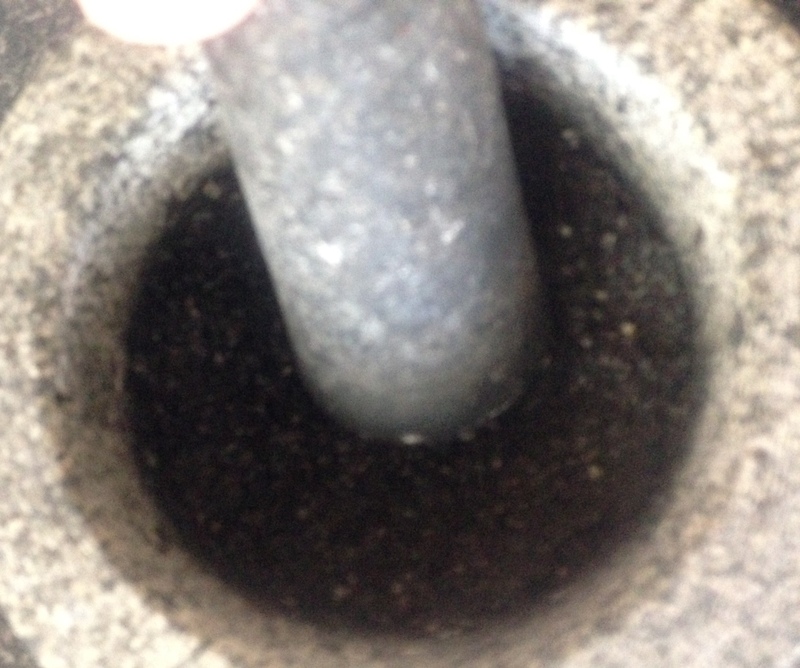 Take the seeds off the heat and grind the sesames in a pestle and mortar until they resemble a paste (do 2 tsn at a time). 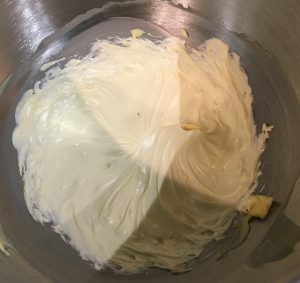 Once cooled place the paste, room temperature butter and icing sugar in a bowl and using electric beaters whisk on high for 3 minutes or until mix is creamy and fluffy. 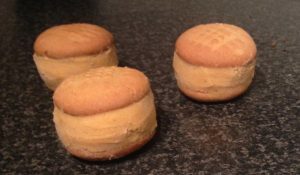 Spread the biscuits with the icing mix and sandwich 2 biscuit together, the filling in the centre. 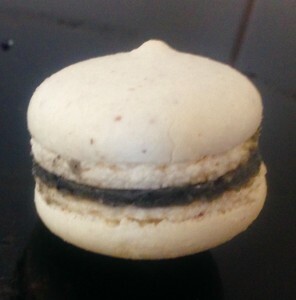 Tags: Black Sesame, Black Sesame Macarons, macarons	. Posted on April 15, 2018 Posted in Biscuits, Ice-cream cake	. 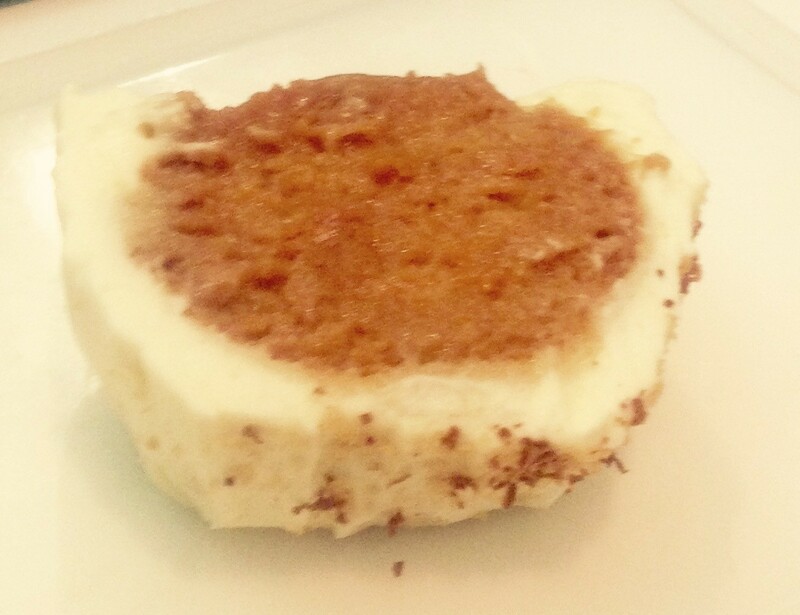 This is a really easy and quick ‘cheats’ version of an addictive carrot ice-cream sandwich. 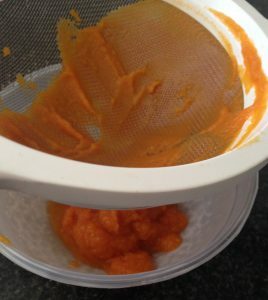 The ‘cheat’ component coming from the use of store purchased vanilla ice-cream (saving you 45 mins prep + setting time) and using pre-cooked tin carrots (saving you 45 mins of prep + roasting the carrots time). Now by no means am I saying you cannot make your ice-cream from scratch or roast your carrots from raw, however these days you can buy a premium quality vanilla-ice-cream. 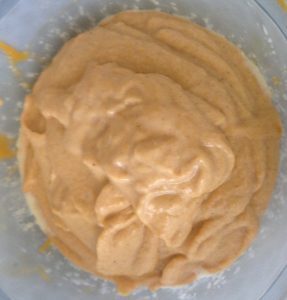 I know canned carrots doesn’t sound very appealing but hear me out, once blitzed with the spices this mix will be so tasty you will want to use it as a dip. This recipe has 2 parts the ice-cream and the biscuit component but let me tell you this ice-cream is the star. Yes my shortbread biscuits are my tried and quadruple tested biscuits that I use as the base to all my shortbread baking but even still this ice-cream is the hero. To be honest I’m not the biggest fan of carrots but this ice-cream is a moreish tasting carrot cake treat. I had high hopes for this recipe and OMG it came through with guns blazing. Preheat the oven to 180c degrees and line a large baking tray with baking paper. 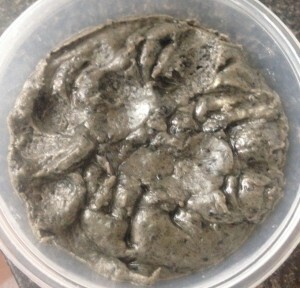 Take the ice-cream out of the freezer and allow it to soften for 10 minutes. 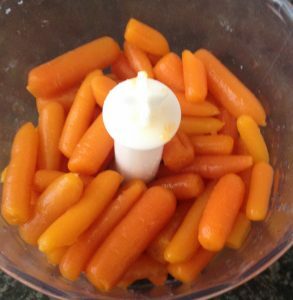 Place the drained carrots into a food processor and blitz until a puree is formed. 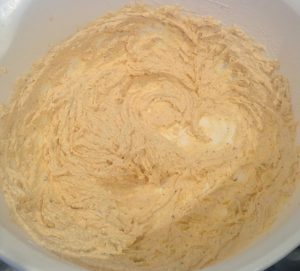 Pass puree through a sieve into a bowl and add the spices and icing sugar. Stir to combine. 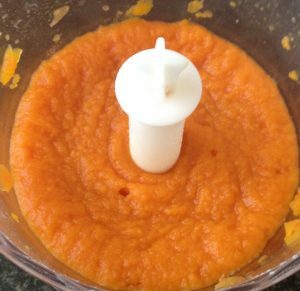 Add the ice-cream to the carrot puree mix and beat with a hand whisk until well combined. Place the ice-cream into the freezer for at least 3 hours to harden. 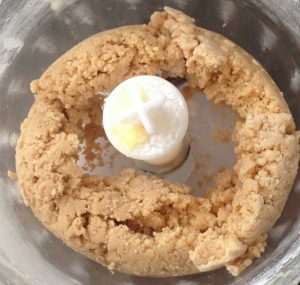 Meanwhile, place all the biscuit ingredients in a food processor and process until the mix clumps together. Roll the mix into 12 x 30g balls and place onto the lined tray. Using a fork push into the center of the ball slightly to form the biscuit shape. Bake in the oven for 12 minutes or until the biscuits are slightly golden. Place the biscuits on a cooling tray until cold then in the freezer to chill for 30 mins+. Take the ice-cream and biscuits out of the freezer. 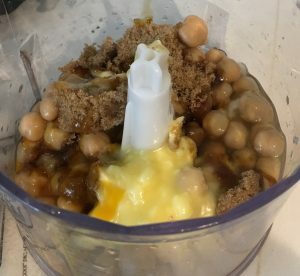 Sandwich the ice-cream between 2 biscuits using a spoon and remove any excess, place back in the freezer for 20 minute or until ready to serve. 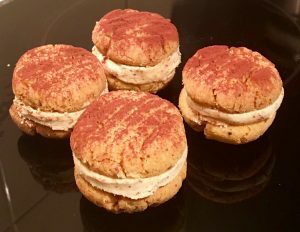 Tags: biscuits, carrot, Carrot Cake Ice-Cream Biscuits Sandwich, ice-cream, short bread	. Posted on January 20, 2018 Posted in Biscuits	. There are many many many versions of Florentine recipes that exist in magazines, recipe books, online etc so it’s quite rare for me to post a recipe that has so many variations and is so well known. Though most florentine recipes use the same standard base ingredients of cornflakes, condensed milk, milk chocolate and glaze cherries the secondary ingredients can span wide. 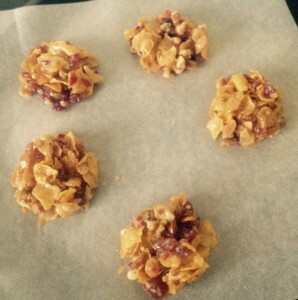 So when I came across a florentine in a café that had no cornflakes and was completely addictive I decided to create my own version, though deliberately without the 4 base ingredients for a good challenge. 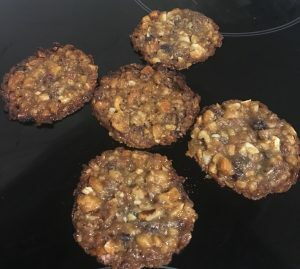 I made a thin biscuit batter instead of the cornflakes, golden syrup instead of the condensed milk, dried cranberries instead of the glaze fruit, 4 different nuts instead of just focusing on 1 and lastly white chocolate instead of the traditional milk. I identified that the golden syrup provides a malty caramel flavour which with the nuts tastes absolutely delicious. 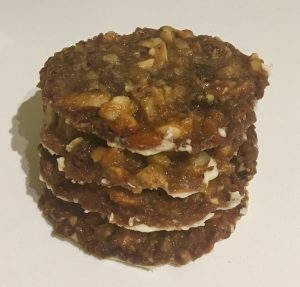 The white chocolate allows the nuts, golden syrup and cranberries to shine as it’s not as overwhelming in flavour as milk chocolate.A warning, this biscuit is moreish-ly addictive! Preheat the oven to 180c degrees and line 2 baking trays with baking paper. 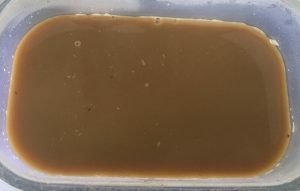 Place the sugar, butter and golden syrup into a bowl and heat in the microwave until the mix bubbles. 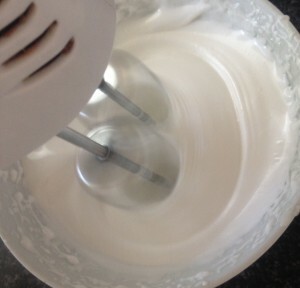 Using a hand whisk beat until the mix is well combine. 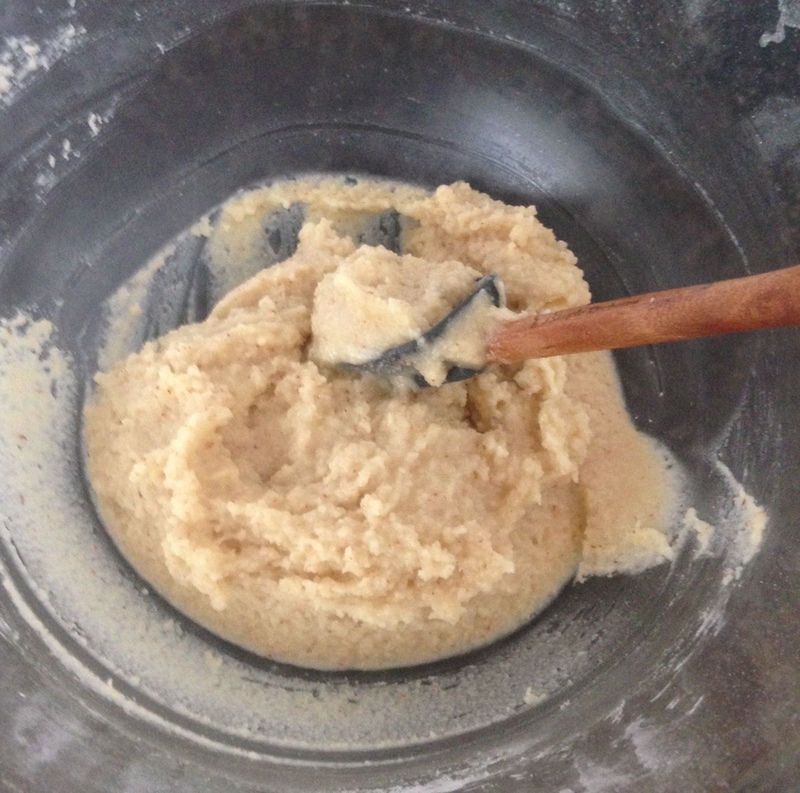 Sieve the flour over the butter mix and beat until combine. Chop the nuts into small pieces and add to the sugar butter mix. Slightly dice up the cranberries and add to the butter mix. Stir the mix until all ingredients are combined. Roll the mix into balls, 15g each and place them onto the baking paper ensuring at least 5cm between each ball. Place the trays in the oven and bake for 10 minutes or until golden brown. Allow the biscuits to cool and harden on the trays. 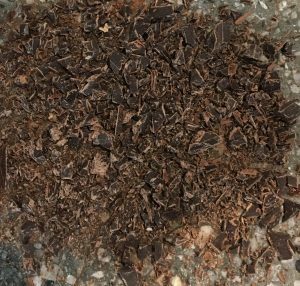 Place the while chocolate into a bowl and on a low/medium level heat in the microwave in 1 minute intervals until the chocolate is melted. 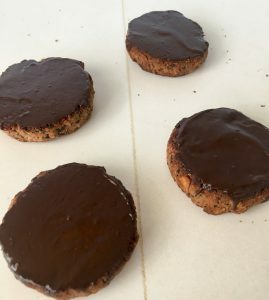 Use a bread knife or spatula spread the chocolate over the bottom of each cooled biscuits placing the biscuits chocolate side up onto a plate. Place the plate into the fridge until the chocolate has set hard. Tags: almonds, cashews, cranberries, Florentines, nuts, pecans, walnuts, white chocolate, White Chocolate Golden Syrup Cranberry Florentines	. Posted on November 25, 2017 Posted in Biscuits, Cakes	. 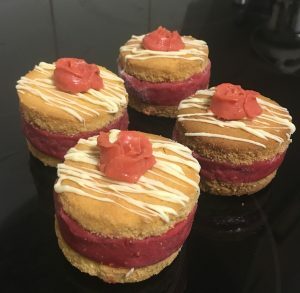 This recipe is a revised play on an experimental date and ginger cake that I made recently, in which incorporated whole ginger biscuits in the filling. I found that the cake batter was to thin to bake well but not thin enough to soften the biscuits. However the flavor was a winner so I continued to play with different ideas to use the flavors in a successful way. Think sticky date pudding but as a soft melt in your mouth cake, and not as a pudding. Place the dates in a bowl of boiling water for 10 minutes to soak up the liquid. 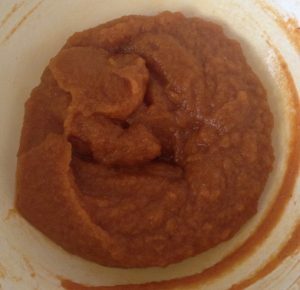 Remove dates from the water and place in a food processor until the mix resembles a paste, set aside to cool completely. 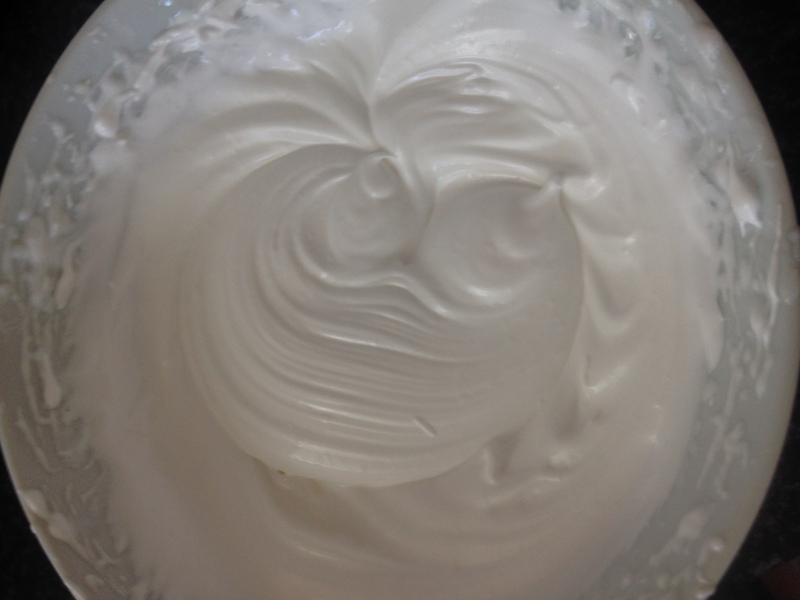 Use an electric beater to beat the cream until soft peaks form. Add the icing sugar a beat until firm peaks form. Set aside 250ml whipped cream for later use. 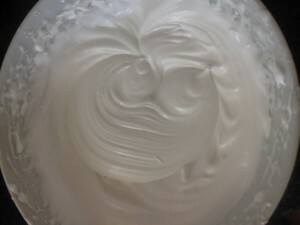 Stir 20ml of whipped cream with the cooled date mix to loosen the mix. Gentry fold the date mix through the remaining 330ml of whipped cream. 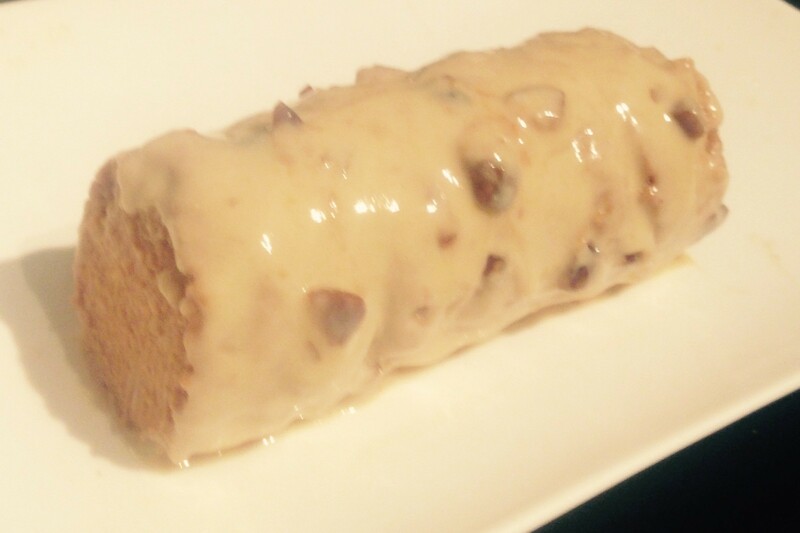 Spread a little of the date cream mixture along a serving platter in a straight line to hold the base. Place the sherry in a bowl and drop the biscuits, one at a time in the sherry until they start to absorb the liquid. After placing all the biscuits in you should have no liquid left. 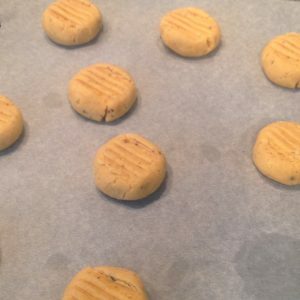 Spread 1 biscuit with the date cream mixture on the top of the biscuit. 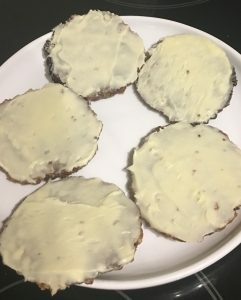 Using another biscuit sandwich together with the bottom side of the 2nd biscuit touching the date mix so the mix is in the center. 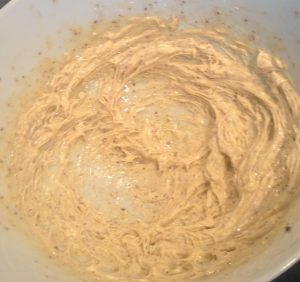 Spread the date cream mixture on the top of the 2nd biscuit and using a 3rd biscuit sandwich together, bottom side to the mix. Place the biscuit sandwich stack vertically (biscuits on their edge) on the cream you spread on the serving plate to hold it in place. 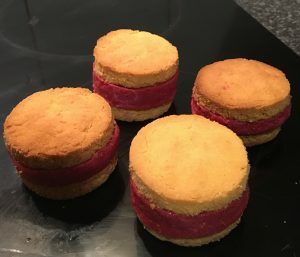 Continue layering by adding the cream to the front of the last biscuit and sandwich until all biscuits and cream have been used and a log is formed. Spread the set aside 250ml whipped cream over the outside of the cake to completely cover. 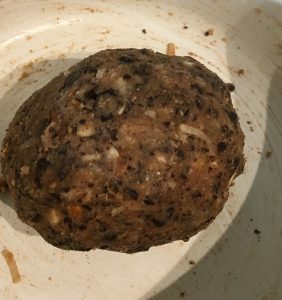 Place in the fridge for 6 hours, or preferably overnight. 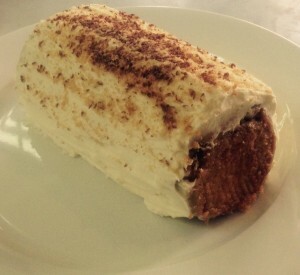 When ready to serve remove from the fridge, cut and enjoy. Note: I also grated over some dark chocolate for decoration. 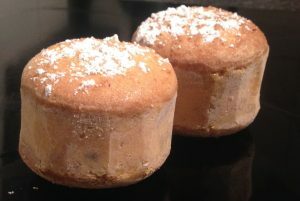 Tags: biscuits, dates, ginger, Ginger and Date Biscuit cake, sherry	. Posted on September 2, 2017 Posted in Biscuits	. In summer one of my favorite ways to cool down at home is by blitzing frozen berries, bananas and yoghurt to make an ‘ice-cream’ that is made of healthy ingredients as well as being delicious. One day I decided that I wanted to take this fruit and yoghurt ‘ice-cream’ to the next level and turn it into an ice-cream biscuit sandwich. For a lift in flavor I added in further complimentary ingredients and played around with different taste combinations until I landed on a combo that is absolutely super moreish and delicious. To turn this ice-cream into a sandwich I relied on my never fail melting moments biscuit recipe that I tweaked to boost the lemon and berry flavor of the ice-cream. The outcome, so addictive! 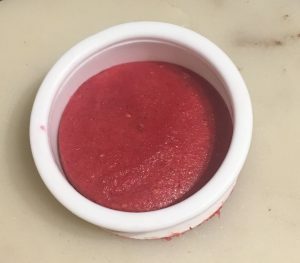 Make the ice-cream by placing all the ingredients into a food processor and blitzing on high until the mix is completely smooth. Line a slice pan (lamington pan for best results) with plastic wrap, allowing for overlap. Pour the ice-cream mix in the slice pan and place the pan into the freezer to set for at least 4 hours. Meanwhile, pre-heat the oven to 180c degrees and line 2 large baking trays with baking paper. 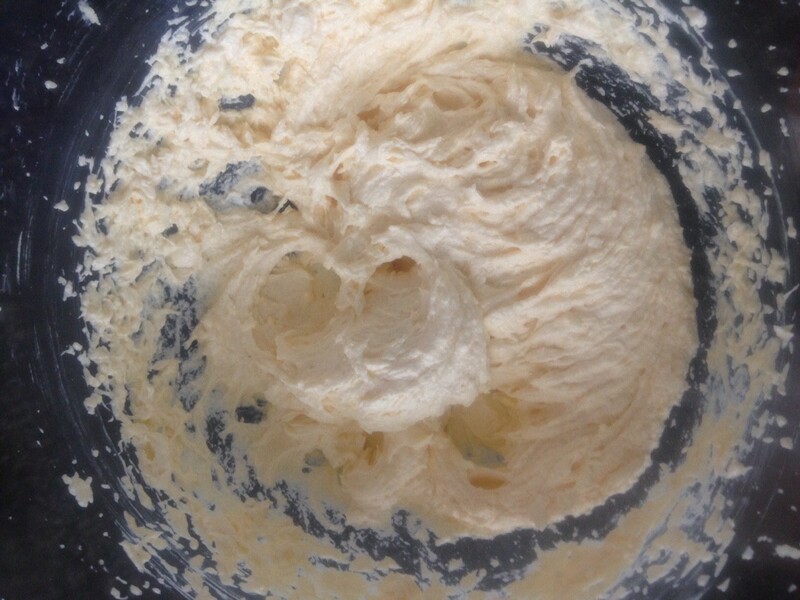 Place the butter in a bowl and using electric beaters whisk for 3 minutes or until the butter is light and fluffy. Add the lemon zest, essence, custard powder and sugar and whisk until well combined. Add the flour, baking powder and salt to the butter mix and whisk until just combined. Roll the mix into balls of 30g each and place on the trays (8 balls on each tray). Place a cookie cutter around the balls on the trays and using the back of a spoon press down to the sides of the cookie cutter. 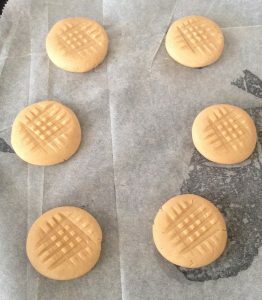 Remove the cookie cutter and repeat with all 16 balls ensuring 5cm between each biscuit. Place the trays into the oven for 16 minutes or until lightly golden. Leave biscuits to cool on the trays for a few minutes then transfer onto a cooling rack until cold. Once the biscuits are cold place in the freezer for later use. To assemble, pull up the plastic wrap from the slice pan and place on the bench plastic wrap side down. 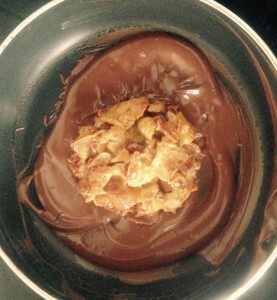 Dip the cookie cutter into hot water and cut out an ice-cream circle. 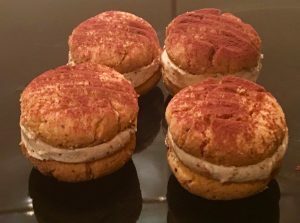 Place a biscuit on the bench, top with the ice-cream circle and finish with a second biscuit on top of the ice-cream circle, place completed ice-cream sandwich onto a plate. Repeat with the remaining ice-cream and biscuits until 8 ice-cream sandwiches are make. Place the plate into the freezer and freeze for at least 1 hour. To serve I topped the sandwiches with melted white chocolate and a small piping of royal icing. A dust of icing sugar will be just an nice. Note: these sandwiches will melt if left out for a long period of time so take them out of the freezer when your ready for dessert. Tags: banana, Banana Berry Lemon Ice-Cream Sandwich, custard, ice-cream, ice-cream sandwich, lemon, rasberry, strawberry	. 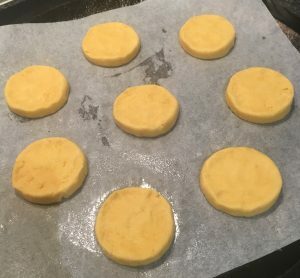 Posted on August 19, 2017 Posted in Biscuits, Swedish, Traditional	. 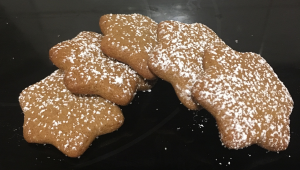 The Pepparkakor cookie is a traditional Swedish Christmas cookie, commonly referred to as “ginger thins” or “gingernuts“ (however should not be mistaken for the US gingersnap biscuits in which are very different). Swedish custom states you place a Pepparkakor cookie in the palm of your hand, then you make a wish while you use your index finger of your other hand to tap the cookie in the middle. If the Pepparkakor breaks into three pieces tradition states your wish will come true. 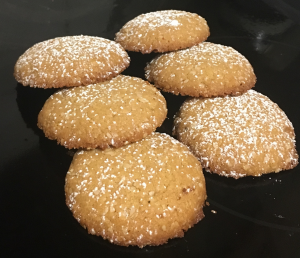 As per most traditional treats there are many slightly varying recipes to these cookies. This was my favorite after trialing half a dozen. 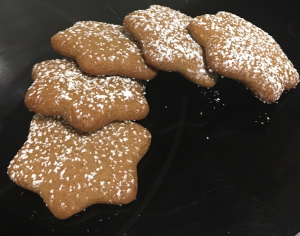 To be honest I thought my gingerbread man recipe was the ultimate spiced treat, however this cookie has trumped my never fail absolutely amazing gingerbread recipe its that good. In a bowl sieve the flour, ginger, cinnamon, cloves, cardamom, baking soda, and salt. Stir. Place the butter, sugar and syrup into a saucepan on a medium heat and stir until melted and well combined. Take off the heat and leave aside to cool. 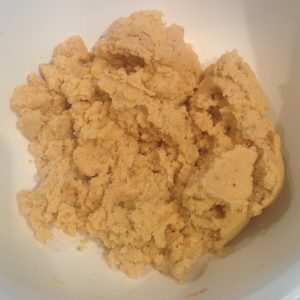 Sieve the flour mix over the cooled butter mix and stir until well combined. 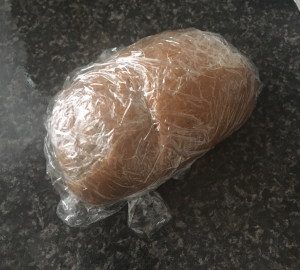 Form the dough into a ball shape, wrap in plastic wrap and place in the fridge for at least 4 hours. Preheat the oven to 175c degrees and line 2 baking trays with baking paper. Using a lightly floured rolling pin roll out the dough to a 2cm thickness on a lightly floured surface. Use a cookie cutter to cut the dough into shapes and place cookies onto the prepared baking tray. Place the trays in the oven for 7 minutes or until the cookies are lightly golden brown. Leave the cookies on the trays for 5 minutes before placing on to a wire rack to cool completely, durst with icing sugar. Tags: Pepparkakor, Spice Cookies, swedish, Swedish Pepparkakor Spice Cookies	.